We are experienced Gardena, Los Angeles and California truck accident personal injury lawyers who will fight for your rightful claim with all our knowledge, might, ferocity and, most importantly for our clients, sincere compassion. Our aggressive truck accident, personal injury & wrongful death lawyers and legal team aim to recover the rightful compensation for our clients, who have been victims of a tragic truck accident, car accident or other accident in Gardena, Los Angeles, Calif. We extend our services to not just truck accident claims but also for a car, automobile, pedestrian, uninsured motorist (UM), underinsured motorist (UIM) and other personal injury claims, wrongful death claims and more. You can contact us for a completely FREE CONSULTATION. Our lawyers and our law corporation provide truck accident and personal injury legal services in Gardena, Los Angeles and other parts of California. 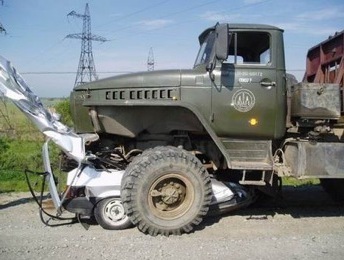 For more information on our experienced truck accident personal injury attorneys and law firm, visit our home page. To know about our lawyers and our successful case results, feel free to check our lawyer profiles and also our many personal injury & wrongful death case testimonial pages. About Gardena, Los Angeles, Calif. Bound by Hawthorne towards the northwest, Harbor Gateway on the south, Alondra Park on the west and Athens towards the north, Gardena is located in the South Bay region of Los Angeles County. 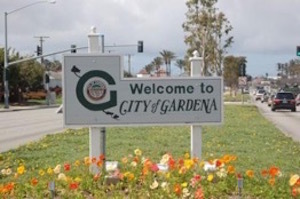 As of the 2010 United States Census, Gardena is home to more than 58,829 people. Not many may know that Gardena has the highest percentage of Japanese in California. The weight of an average passenger car is 4,000 lbs while semi trucks or large big rig vehicles can weigh 80,000 lbs or more! Thus, their momentum, weight multiplied by speed, can be huge, resulting in catastrophic accidents and collisions. Commercial truck drivers are often provided financial incentives to travel long distance as fast as possible. Thus, with several factors including ride height, stopping distance, and driver’s field of vision, the problem with fatigue can be most evident. Truck drivers on financial incentives may not keep the safety of passengers in nearby smaller cars and other vehicles at top priority, because of which they may end up losing control of their huge truck, causing fatal truck accidents resulting in wrongful death and other personal injury claims in Gardena, Los Angeles, Calif. The time lost at work, irrespective of whether it is covered by employment benefits or sick leave. All past and future loss of earnings are investigated and sought in compensation. Property damage, rental charges, loss of use of property and even diminution in value since after a truck or car is repaired it is often worth less than it was prior to the collision. Contact our Gardena, Los Angeles truck accident injury lawyers and legal team now for a completely FREE CONSULTATION and CASE EVALUATION. We work on a contingency fee basis, which means there is NO fee until you WIN! And with our firm, your consultation is absolutely FREE! Call us now; you will be glad that you did!